Check out the latest Retro Reading! OPENING BELL: Stu Saks has heard people say that the Winter 1983 edition of Wrestling 83 was the finest publication they’d ever read. But, while he, and the rest of the staff, appreciate the compliments, they aren’t going to rest on their laurels, because the key to quality is consistency. Winter 1983 may have been great, but, until they release several other issues that are also great, they can’t be considered a great publication (Note from Mike: I would say they achieved that goal, because this has always been my favorite magazine). Saks also takes the time to credit the rest of the staff for all of their hard work, including Craig Peters going on a long road trip, Bill Apter’s great photos, Joseph Bua’s Kerry Von Erich-Freebirds story, and even has to compliment Dan Shocket for his bravery in spending a week with Abdullah the Butcher.OPENING BELL: Stu Saks has heard people say that the Winter 1983 edition of Wrestling 83 was the finest publication they’d ever read. But, while he, and the rest of the staff, appreciate the compliments, they aren’t going to rest on their laurels, because the key to quality is consistency. Winter 1983 may have been great, but, until they release several other issues that are also great, they can’t be considered a great publication (Note from Mike: I would say they achieved that goal, because this has always been my favorite magazine). 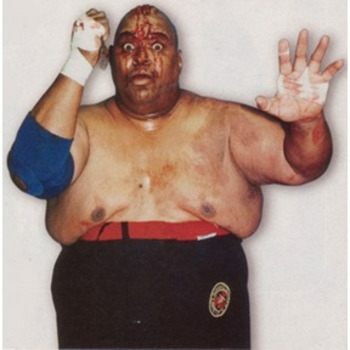 Saks also takes the time to credit the rest of the staff for all of their hard work, including Craig Peters going on a long road trip, Bill Apter’s great photos, Joseph Bua’s Kerry Von Erich-Freebirds story, and even has to compliment Dan Shocket for his bravery in spending a week with Abdullah the Butcher. FEEDBACK: Wallie from Fairview, PA thinks that Wrestling 83 was superbly written, and loved the glossy photos. Johna from Rockwood, PA enjoyed thoroughly enjoyed the first issue, and says Wrestling 83 is now her favorite magazine, the editors chime in to hope that she replaces Wrestling 83 with Wrestling 84 as her favorite magazine. Jay from Las Vegas, NV also enjoyed the debut edition, and lists all his favorite parts. Steve from Warren, OH was happy to hear about Brett Wayne and Buzz Sawyer being brothers, but now worries that Buzz will try to turn Brett into a rulebreaker. Stephen from Columbia, MD agrees with the letter from the previous issue criticizing Bob Backlund, and thinks he’s a coward for not wrestling any fan favorites. Lynn from Columbia, SC isn’t happy with the letter from Fall 1983 issue of Sports Review Wrestling about Greg Valentine. She thinks his style is unnecessarily rough, but, instead of people trying to hurt him to stop him, that everyone should work together to make wrestling into a sport again. She think a point system on a wrestler’s license would be a good start, so everyone knows the consequences in advance, and if enough points are accrued, then the license is revoked. NEWSLINE: Ric Flair won the NWA Title from Harley Race on Thanksgiving night in Greensboro, with former champion Gene Kiniski as the referee. Rick Steamboat and Jay Youngblood won the NWA Tag Titles the same night. Kerry Von Erich won $10,000 by giving Kamala a bodyslam. When asked what he’d do with the money, Kerry said he was going to have a party on April Fool’s Day, with everyone dressed as Kamala, Friday, and Skandor Akbar, the three biggest fools he knows. Greg Valentine is negotiating to return to the WWF, where he hopes to get a title shot at Bob Backlund. In 1981 Valentine won the title, when a groggy referee counted a pinfall for Backlund, but raised Valentine’s hand and declared him the winner. Brett Sawyer suffered a broken arm and is wrestling with a cast, and has been given strict orders to not use it as a weapon, and the referees have been told to disqualify him, without warning, for using it. Brett says he’s more worried about re injuring his arm, and won’t be using the cast. The Fabulous Ones, Steve Keirn and Stan Lane, were recently mentioned on MTV, when Martha Quinn read part of a story from The Wrestler on the air. They’d like to be in a music video, if Lou Albano can be in a video with Cindy Lauper, why not them? The Freebirds are negotiating to wrestle in Japan. The Assassin and the Dynamite Kid are being advised in the Northwest by Rip Oliver, and have recently won the Pacific Northwest Tag Titles. Bobby Heenan has been managing Superstar Graham in the AWA. Bob Armstrong recently won the Southern Title from Wayne Ferris. Mr. Wrestling II will be coaching Magnum TA. Jimmy Valiant is back in the Mid-Atlantic area. Killer Karl Krupp is wrestling in the Central States. Nick Bockwinkel is scheduled to defend the AWA World Title against Dino Bravo. Bugsy McGraw came up with a new idea: That the ring should have yard lines painted on it, so wrestlers would know how they’re doing during the match. If it comes to pass, maybe the NFL will put ropes along the sidelines. IN THIS CORNER: Peter King thinks it’s fitting that this is the first issue of 1984, and it makes him think of the novel 1984, which is more than thirty years old, but gets more and more relevant each year. Speaking of the novel 1984, he also finds a comparison between the events of the novel, and with the WWF’s recent actions barring fans from taking photos during the matches. No other sport, nor other wrestling area prohibits this. It’s understandable for a musical or a play to do this, because it’s a performance that’s predetermined. Hopefully, the WWF will see the error of their ways, and maybe 1984 won’t be such a bad year after all. MANAGER’S FORUM: Bobby Heenan considers the manager to be the most important person in wrestling. The fans don’t really understand it, but he doesn’t expect them to, they just plunk down money and expect to be entertained. His managerial skill is why Nick Bockwinkel has been so successful as the AWA Champion, Arnold Skoland, who manages Bob Backlund, has only taught him how to wrestle one kind of opponent, and that’s why Backlund’s reign has been so predictable. Heenan believes that, if he managed Backlund, that he could take on all comers and win. You can’t name one great tag team who doesn’t have a manager. With one or two exceptions, every great wrestler who has left a manager, has seen their career go right down the tubes. All other professional athletes have coaches with them for everything, and boxers aren’t even allowed in the arena without someone to work their corner. Only in wrestling are the pros stupid enough to think they can do things completely on their own. Wrestling managers make wrestlers great, the fans may not understand it, but, the wrestlers should never forget it. CROSSFIRE: Bill Apter and Dan Shocket interview Ric Flair, Apter says that some consider Flair a fan favorite, and other a rulebreaker. Shocket says that fans say they came to the arena to boo him, but stayed to cheer him, and asks if he noticed that. Flair said that he doesn’t pay attention to the fans, his job is to win matches. His job isn’t to be a boy scout, upholding the virtues of sportsmanship. Apter asks why he chose to offer anyone an NWA Title shot, and Flair replies “Why not?” because he can beat anyone. Shocket points out that Apter is also a fan of Bob Backlund, who only wrestles rulebreakers. Apter says that Backlund doesn’t choose his challengers, and Shocket replies that Backlund would only need to ask if he wanted to wrestle someone like Jimmy Snuka. Flair thinks that Backlund doesn’t have the power to choose his challengers, and that the WWF promoters are controlling him by making things easy for him. Flair’s title reign speaks for Flair, Backlund’s speaks for the WWF matchmakers. When Flair lost the title to Harley Race, he was exhausted in 100 different ways and felt worthless. Shocket asks if the Von Erichs are the challengers he’d like to forget, and he says everyone should forget them, because they’ve enjoyed such popularity while having so little ability. He’s been teaming with Roddy Piper lately, who Flair feels is the only other genius in wrestling. He thinks Greg Valentine is an animal, Flair will do anything to win, Valentine will do anything to hurt someone. They wrap up with asking Flair about a time when he won’t be a champion, Flair says retiring is the hardest thing he’ll ever do, harder than having to wrestle five Greg Valentines at once. SCOUTING REPORT: Kevin Sullivan gets a B in speed, a B+ in strength, B+ in technical knowledge, C+ in physical condition, an A in ring intelligence, and an overall score of a B. It notes that if he rebuilt his physique, which once rivaled Tony Atlas, to the way it looked in 1981, he’d have the strength he needs, without cutting into his stamina, and he would be literally unbeatable. SCOREBOARD: Mike Rotondo defeated Ron Bass in Florida to retain the Southern Title, despite Bass and J.J. Dillon protesting the decision. Tommy Rich was supposed to challenge Harley Race for the NWA Title in the Omni in Atlanta, but the champion was stuck in St. Louis, and Rich wrestled Ted DiBiase instead. DiBiase opened a gash on Rich’s head, and it took half a dozen wrestlers to pry them apart. 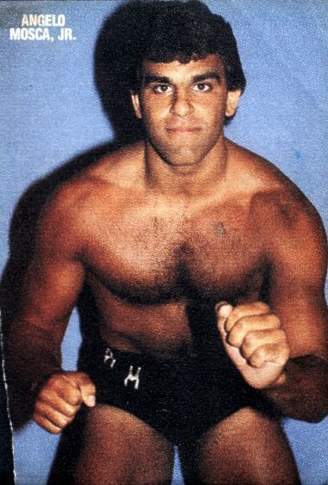 David Von Erich beat the Super Destroyer at the Kiel Auditorium in St. Louis, and afterwards, Super D announced that he’d acquired a tag team partner, Super Destroyer II, and that they were headed to Texas. Hulk Hogan and David Schultz wrestled to a bloody no contest at the St. Paul Civic Center, but Hogan raised his arms in victory and the fans cheered him on wildly. HEAD TO HEAD: Roddy Piper vs. Nick Bockwinkel. Verne Gagne thinks Bockwinkel is too smart, and would take Piper apart after he got tired. Rick Steamboat thinks that Piper can do anything he sets his heart to, including beating Bocwinkel. Baron Von Raschke thinks it’d be a great match, but he can’t pick winner. It’s the untamable lion versus the lion tamer. The best that Bockwinkel could hope for is getting out unhurt. Referee Sonny Fargo would bet the ranch on Piper. 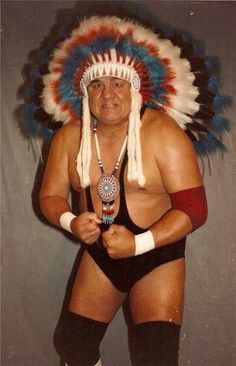 THE PRIVATE SIDE: Wahoo McDaniel likes to relax away from the ring by golfing, fishing, and hunting. He and Ric Flair are friends outside the ring, and he has a collection prints and paintings of the old west, to remind him of his heritage. INTERVIEW 84: Jimmy Snuka is enjoying the cheers of the fans, which he wasn’t getting with Lou Albano as his manager. Albano didn’t want him to just win, he wanted him to hurt people as much as possible, and now he wants to hurt Albano the same way that Albano wanted him to hurt others. 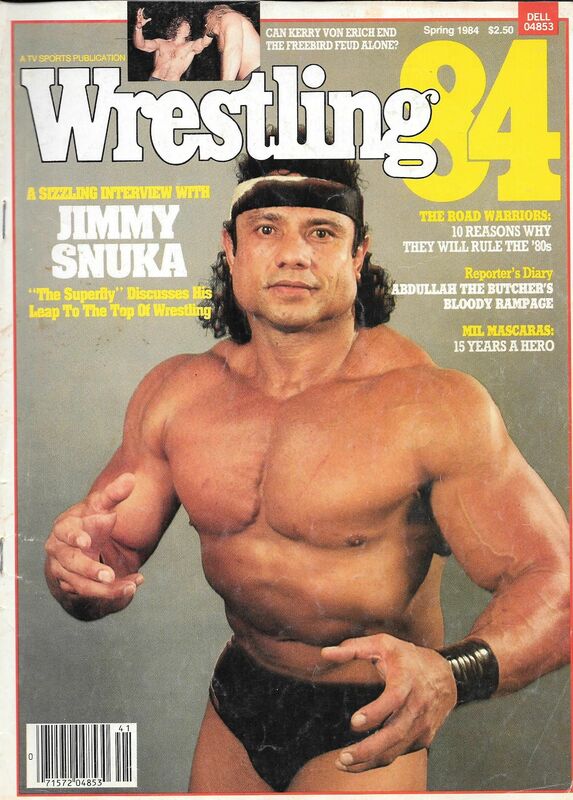 Although he’s become very well-known since he started wrestling in the Northeast, Snuka has been wrestling since 1969, when he was trained by Danny Hodge and has wrestled all over the world. Before the Superfly splash, he used the full nelson as his finisher, which nobody ever broke, but he got bored doing it and wanted to do something more exciting. Snuka is aware of the dangers in the move though, and always fears that he could hurt himself, or someone else, permanently. KERRY VON ERICH ASSUMES THE BURDEN: “I’LL END THE VON-ERICH-FREEBIRD WAR MYSELF”: When Kerry Von Erich works out, the mere mention of the Freebirds, especially Michael Hayes is enough to push him to the limits of his ability. A few months ago, he’d wanted nothing more to do with the feud, he’d just lost the Missouri State Title, and felt like the war with the Freebirds was getting in the way of his career. But, now he sees that the Freebirds are roadblocks in the family’s path to success, and he’s determined to get rid of them. His brother David recently won the Missouri Title from Ric Flair, and Kerry doesn’t want him sidetracked for any reason, so he’ll drive them away from Texas himself. He first plans on getting rid of Michael Hayes, and then it’ll be domino effect, Gordy and Roberts will fall. Then, with them gone, the family can get back on track and try to take that NWA World Title, Kerry wants it bad, but, he’ll be just as happy if it’s Kevin or David holding it. 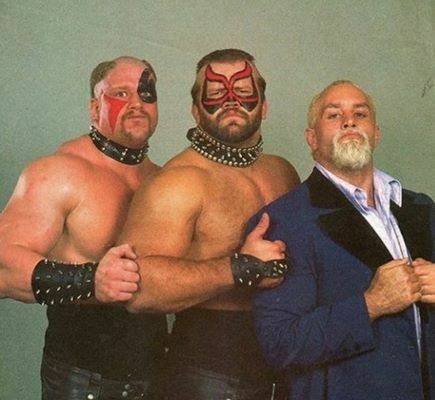 THE ROAD WARRIORS: 10 REASONS WHY THEY WILL RULE THE ‘80s: The Road Warriors were voted 1983 Tag Team of the Year, and are considered the team to beat in 1984, but what about beyond 1984? Wrestling 84 feels like they will rule the entire decade. They seem to have a bottomless reserve of raw power at their disposal, few teams could absorb the kind of punishment they like to dish out. Their conditioning provides them with enormous stamina, and a team that can’t be hurt can’t be defeated. They have a major psychological advantage over their opponents, and have often won the match before it starts. For their size, they posses uncommon speed. Their recent assault on, and later reconciliation with, Paul Ellering shows that they’re able to recognize a bad career move and take steps to repair the problem. They have a reckless attitude, which serves them well, because they are able to enjoy a certain notoriety. They aren’t the recipients of fan adoration, which will serve to not tie them down to a certain area, nor point to the fans as a scapegoat. They share the same attitude, they want to make money doing what they enjoy. 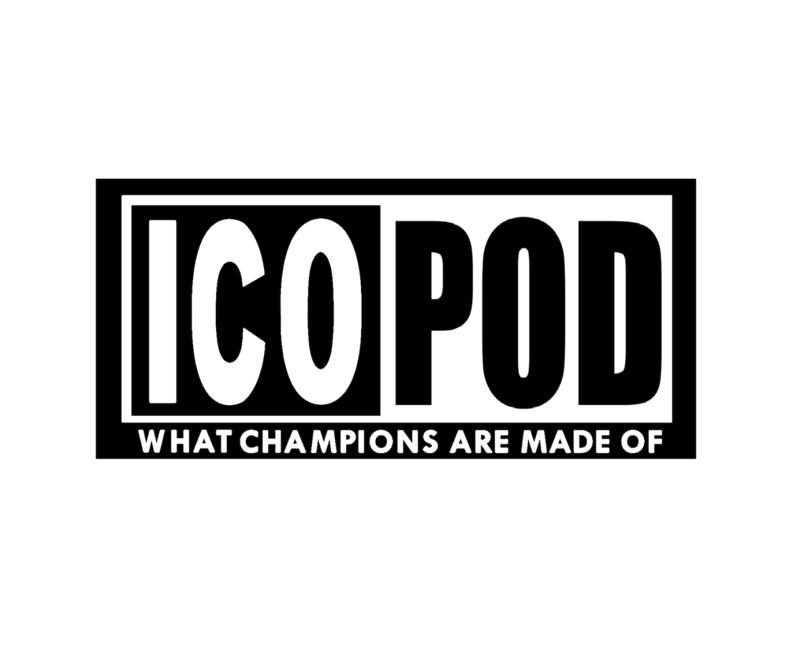 The unwillingness of the wrestling commissioners to bring them under control has allowed them to break rules at will and suffer no big consequences. They’ve only been wrestling for about a year, there’s no substitute for experience, and that will make them that much more dangerous later on. 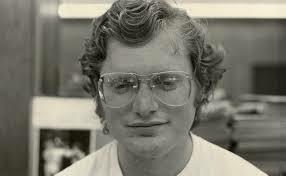 THE ROAD WARRIORS (ALMOST) ALWAYS WIN: A bit of sidebar to the previous article. The staff of Wrestling 84 matched up the Road Warriors to the other tag teams in this quarters tag team rankings in a series of dream matches. The consensus is that the best the could hope for would be a draw versus AWA Tag Team Champions Ken Patera and Jerry Blackwell, due to Patera’s power matching theirs, and Blackwell’s size being an obstacle. U.S. Tag Team Champions Elijah Akeem and Kareem Muhammed would be the closest thing to an even match up, which would likely end in a double disqualificaiton. But, they feel like they could beat the rest of the field. MIL MASCARAS – 15 YEARS A HERO: Mil Mascaras received a letter from a fan after he’d seemingly won the AWA Title from Nick Bockwinkel, only to have the decision reversed because Chavo Guerrero isn’t an AWA sanctioned referee. Mil’s office contains a filing cabinet with folders containing every fan letter he’s ever received. He used to try to answer them, but that turned into a full time job, and he doesn’t want to use a mailing service, because the fans deserve better than a form letter. Speaking of letters, when he reached his fifteenth year in wrestling and had yet to win a world title, Pro Wrestling Illustrated ran a poll asking if Mil should change his style to try to find more success, and printed his address. The result was over 17,000 letters pouring in, to tell him that he should not do that, and that doing so would undo all the great he’d done in his career. He didn’t start wrestling to become a hero, but now that he is, he enjoys the feeling. YOU DECIDE: Are chain matches good for wrestling? The pros to it are that it’s a fitting way to settle a feud, it’s very exciting for the fans, and that the chain acts as an equalizer. While the cons are that there’s a greater risk of injury, that it’s hardly a setting for a show of sportsmanship, and that, it’s equally likely to intensify a feud. The results are in from last quarter, and the readers have spoken to keep the clawhold. Shane from Lewistown, PA spoke for the majority when he stated that the claw is just like any other hold, and moves like a headlock from Hulk Hogan would be just as dangerous. As sad as it is that Nick Ragni was permanently injured by the claw, the responsibility is ultimately his, because he should have submitted if the pressure was too great. Wrestling 84 was forwarded the results of this survey to all of the top promoters in the country. BEST BET: Angelo Mosca Jr. is twenty-four years old, with less than one year as a pro. His biggest match has been teaming with is father against Kevin Sullivan and the Purple Haze, and his long range goal is to win a major tag title with his father. GOLDEN MOMENT: A battle royal in Los Angeles from 1974. Andre the Giant was eliminated in the first two minutes, with the combined efforts of the other participants. Black Gordman would win the match, and an $11,000 prize. INFO CENTER: John from Niagara Falls wants to know if anyone has held both the NWA and AWA Titles, which only Gene Kiniski has done. 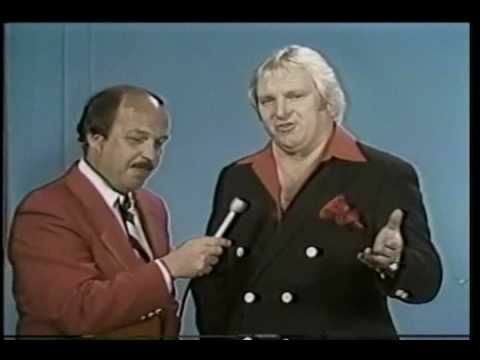 Stan from Chattanooga wants to know who determines challengers for the NWA Title, which is done by president Bob Geigel. Shelly from Twin Lakes, MN wants to know about the team of Gene and Ole Anderson, who were known as the Minnesota Wrecking Crew, and worked a very brutal style which led them to win several regional tag titles, as well as the NWA Tag Team Titles. Craig from Wichita wants to know why Harley Race had to give up the Missouri Title after winning the NWA Title, which is a mandate from the NWA. Finally, Darrell from Greenwich wants to know how many tag team titles Mr. Fuji has won, which is five, two with Mr. Saito and three with Professor Tanaka. RATINGS AND ANALYSIS: Some big changes to the ratings this month, with combined weight for teams no longer being listed, and replaced by either their championship, or their ranking for a championship. The Southwest has been dropped in favor of the Mid-Southern region. 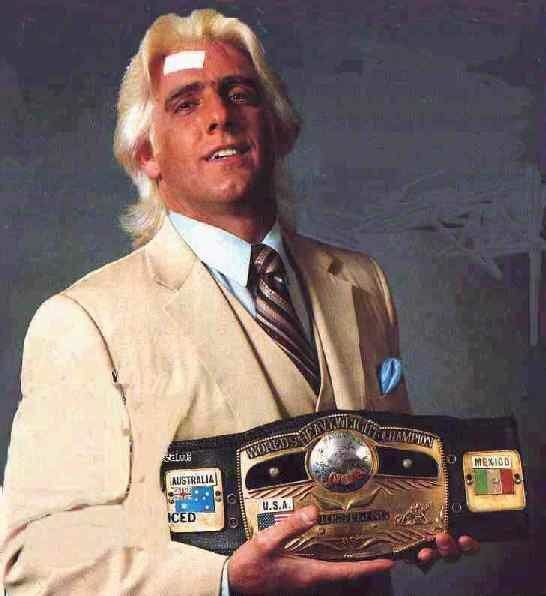 Ric Flair has won the NWA Title from Harley Race, and is back in the top ten, Michael Hayes was recently forced out of Texas for a year, and is no longer in the World Class ratings. Brett Wayne will now be known as Brett Sawyer. THIS JUST IN: Rick Steamboat has announced his retirement from wrestling, to focus on running his gym in Charlotte. Steamboat says he’s won every title there is in the Mid-Atlantic, except for the NWA World Title, and Ric Flair is his friend. Jerry Lawler is being forced to wrestle his partner, Austin Idol, for a chance to challenge for the AWA World Title. Captain Lou Albano filed an official protest with the WWF over Tony Atlas and Rocky Johnson winning the WWF Tag Titles, he says that the illegal man was pinned. Precious Paul Ellering is negotiating to manage King Kong Bundy, and make him part of his Legion of Doom stable, along with the Road Warriors and Jake Roberts.